The Inter-Mountain photo by Edgar Kelley Elkins High School’s Allison Smith reaches second base after hitting a single and advancing on an error Wednesday against Tucker County. 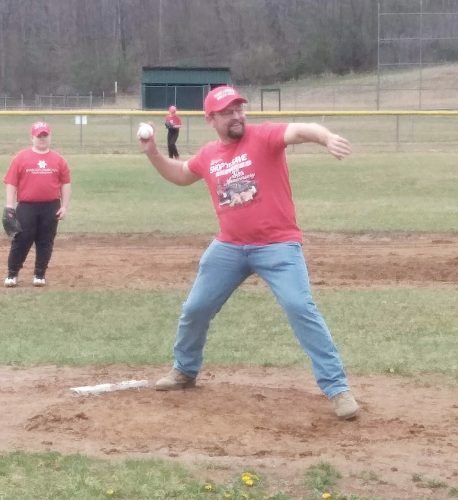 ELKINS — Elkins used timely hitting and took advantage of some defensive miscues by Tucker County en route to a 12-1 victory Wednesday afternoon in non-conference action at Betty Heckel Field on the Elkins Middle School campus. 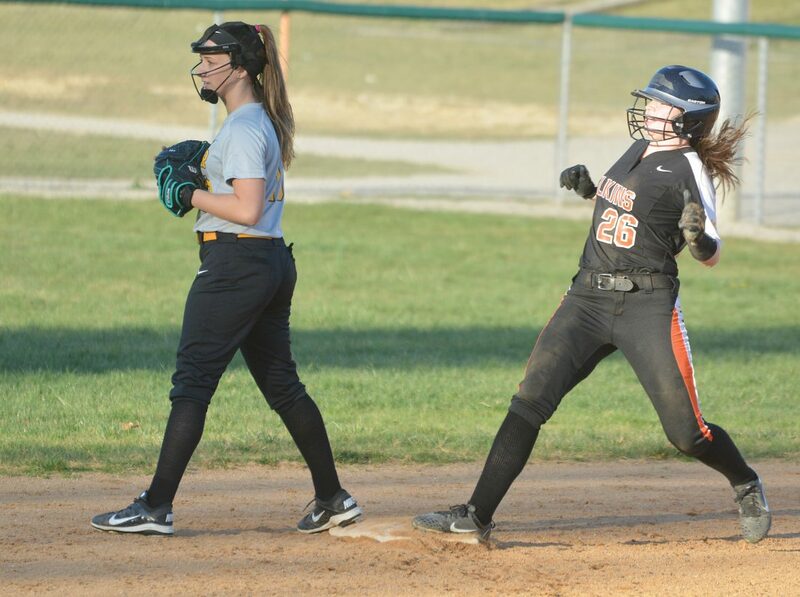 The Lady Tigers, who improved to 7-8 overall with the win, crossed 10 runs in the opening inning that put the visitors in an insurmountable hole. Baylee Shiflett reached on an error to lead off the first and Allison Smith followed with a single to left field. 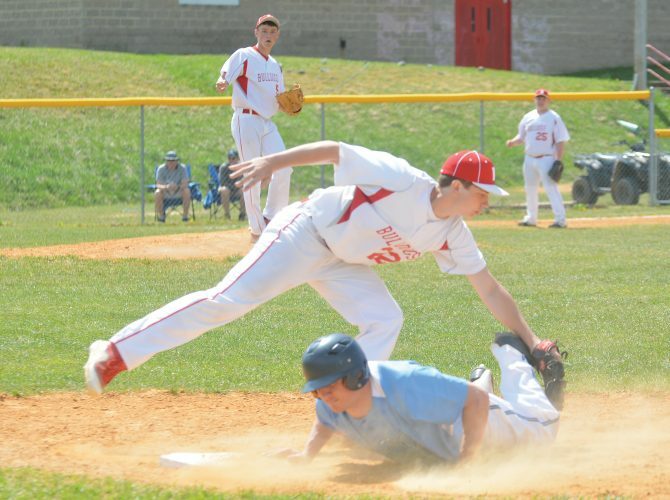 Three more Tucker County errors followed, which allowed Elkins to take a 3-0 edge. The Lady Tigers then forged in front 5-0 when Haley Smith knocked in a pair of scores with a base hit to right field. Two batters later, Smith scored on a single from Hallie Roy and Shiflett, who was making her second plate appearance of the inning, drove in a pair of runs with a single to left, making it 8-0. A bases-loaded walk and another Lady Mountain Lion error accounted for the ninth and 10th runs of the set. Tucker County’s lone run of the contest came in the top of the third inning when Mckinley Murphy reached and scored on a pair of Elkins errors. Gracie Filler’s lead-off single in the first inning was the lone hit of the game for the visitors. The Lady Tigers ended the game by way of 10-run mercy rule in the third inning. With one out in the set, Allison Smith and Morgan Bowers reached base on back-to-back errors. Gracee Huffman then put the finishing touches on the scoring when she drove in both runners with a double down the right-field line. Kylee Cable notched the win for Elkins in three innings pitched. She surrendered just one hit, struck out three and didn’t walk a batter. Haley Smith and Allison Smith had two hits each to lead the Lady Tigers’ attack at the plate. Huffman and Haley Smith picked up two RBIs each in the win. Kristen Hicks suffered the loss for Tucker County in 2 1/3 inning of work. Both teams will return to action today. The Lady Mountain Lions will travel to Pocahontas County, while Elkins plays host to Lewis County.